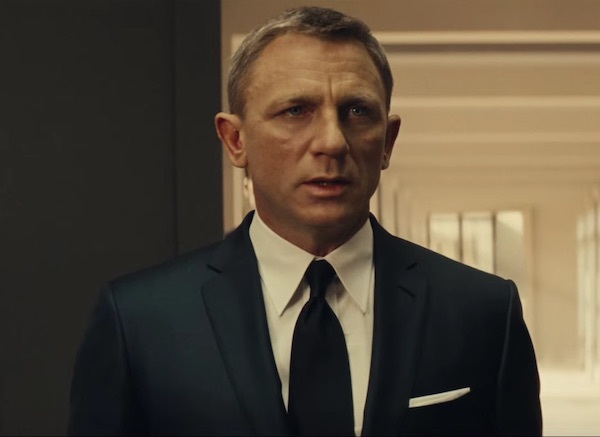 Spectre is 24th James Bond movie and one of the biggest, most anticipated movies of the year. Daniel Craig is still agent 007 and Christoph Waltz is the main villain Ernst Stavro Blofeld. Both Blofeld and global criminal organisation Spectre return into the series. The movie also includes several recurring characters: M, Q and Miss Moneypenny, while Léa Seydoux and Monica Bellucci are Bond girls this time (or should we say ladies). Spectre’s budget was reportedly around $300 million, which makes it tied at number two with Pirates of the Caribbean: At World’s End as the second most expensive film ever made. Big budget also means extremely high marketing costs, which also means that there will probably be product placement in the movie. A lot of it. But that’s not really a problem when it comes to Bond movies. You can check my review of product placement in the last Bond Skyfall. Let’s check product placement from Spectre. Aston Martin’s new coupe was created exclusively for Spectre and was unveiled in December 2014 at the official press launch of the film. Director Sam Mendes introduced the car as “the first cast member”. Aston Martin manufactured ten (10!) DB10 cars: eight have been used for Spectre filming, along with two show cars. The DB10 got quite an exposure especially during a chase sequence on the streets of Rome. 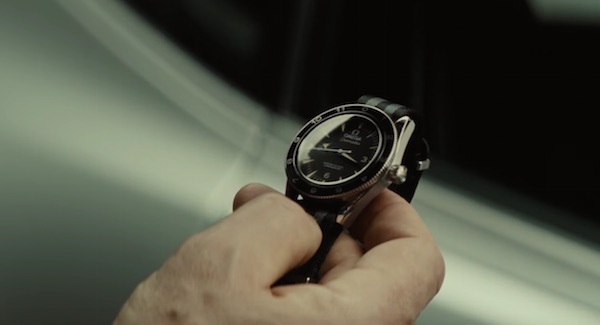 Bond wears the Seamaster 300 and the brand has another mention in Spectre. You might remember the infamous Omega conversation between Bond and Vesper Lynd in Casino Royale and this one in Spectre is a bit better. Q gives the watch to Bond. Most watches that appeared in Bond movies were never sold commercially. But this time Omega decided that they’lloffer exactly 7007 special edition Seamaster 300 watches. The retail price is going to be around $7,500. Besides Seamaster Bond also wears an Omega Aqua Terra 150M. Tom Ford has been the official Bond fashion designer since Casino Royale and I have to say that Daniel Craig looks terrific. Well done Mr. Ford. 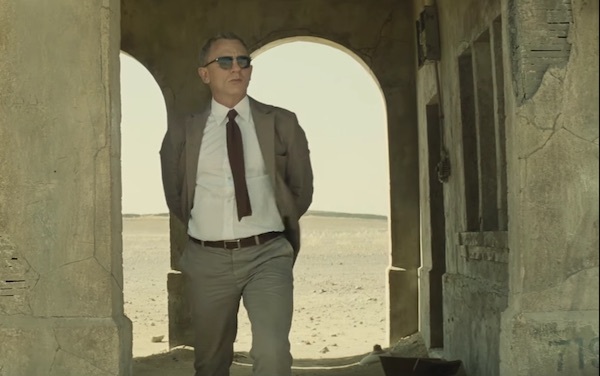 In Spectre James wears two pairs of Tom Ford sunglasses: Snowdon and Henry. During an action scene in the snow Bond’s enemies drive Range Rover and Land Rover defender. 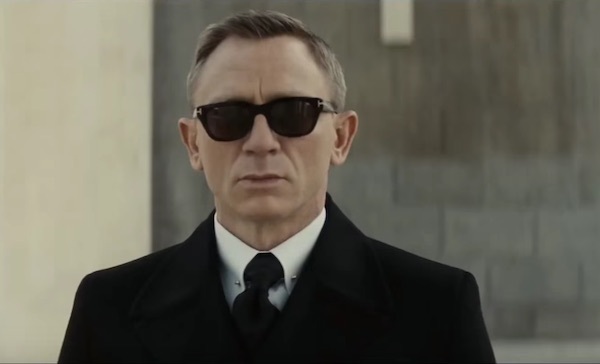 During the scenes in Austria 007 wears Vuarnet’s Glacier sunglasses. Belvedere vodka is an official vodka brand of Spectre. Brand used 007 in their ad Excellent choice, Mr. Bond and the bottle could be seen in the hotel scene in Tangier. The reports in the media have revealed that Mendes and co. rejected using Android mobile phones, because they weren’t good enough for Bond. We can see several phones in Spectre, but it’s very difficult to recognize the brands. Sony however used Moneypenny in their Made for Bond ad. A Sony TV can be seen in at least one scene. 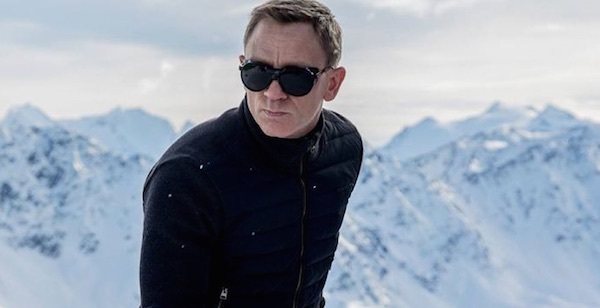 In October British Tourist Authority launched a global “Bond is great” tourism campaign, which tries to encourage 007 fans to choose Britain – the home of Bond – for their next holiday. London got quite an exposure in Spectre. Product placement in Bond movies is often criticized, but we have to take into account that it’s one of the characteristics of the franchise, along with gadgets, main song, stunts, … The brand with the most screen time is Aston Martin and Omega got a mention and a couple of close-ups, which would please Omega. 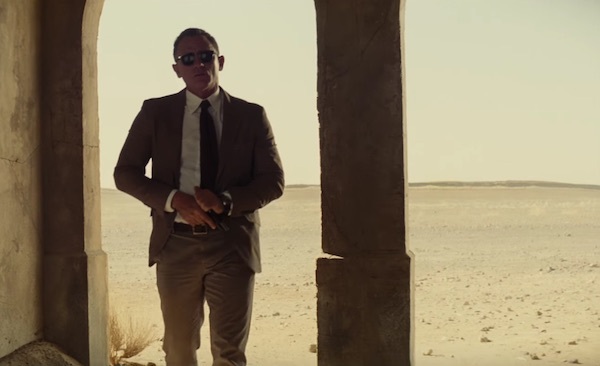 Tom Ford made some excellent outfits for Daniel Craig. From a product placement point of view producers made a good choice of limiting the number of placements in the movie and by selling right for movie tie-ins. It’s definitely better to see Heineken bottles with Bond silhouette in the stores than seeing close-up of 007 drinking beer and a big in-your-face logo. Well done. Is it Persol or Tom Ford sunclasses Madeleine swann wears in the dessert just leaving the train?